There are a couple special ~APERITIF HOURS~ this week in the city, courtesy of Dubonnet Rouge. This Wednesday March 24th, you can swing by ~CODA~ (1710 Mission St. at Duboce) from 5:30pm-7:30pm, and then this Thursday March 25th at ~BRUNO’S~ (2389 Mission St. at 20th St.) from 5:30pm-7:30pm. Each venue will serve two classic preparations: the Dubonnet Cocktail (Dubonnet with gin and bitters), the Dubonnet Royale (Dubonnet with Champagne), and one wildcard cocktail made by the house mixologist to show how San Francisco “does Dubonnet.” At the conclusion of each event, one lucky patron will win a $500 gift certificate to spend at the host restaurant! It’s that time of the year again, when more than 100 vintners gather in San Francisco for the 13th annual ~RHONE RANGERS TASTING~ of American-produced Rhone wines, the largest American Rhone wine event in the country. 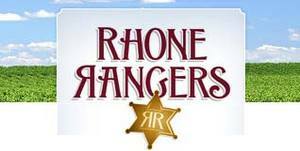 The Rhone Rangers Grand Tasting takes place at Fort Mason’s Festival Pavilion on March 28th (2pm-5pm), where you’ll have the opportunity to taste 500 of the best American Rhone wines from over 100 Rhone Rangers member wineries. At the Grand Tasting, attendees can sample gourmet foods from more than 35 specialty food purveyors, including cheese, bread, olive oil, charcuterie, fruits, and chocolates. A silent auction will feature wines from the Rhone Rangers member wineries and wine-related items. Proceeds from the auction will benefit Meals on Wheels of San Francisco. ~Bay Area Sommeliers Speak Out: Pairing Food with American Rhone Wines (Saturday March 27th), moderated by Jon Bonné, wine editor, San Francisco Chronicle; with special guest sommeliers Evan Goldstein, author: Perfect Pairings; Nicole Burke from Salt House/Town Hall/Anchor & Hope Restaurants; and John Toulze from the girl & the fig. Small plates from Salt House and the girl & the fig will illustrate principles of food and wine pairing. ~Grenache: Red, White & Pink! (Saturday March 27th), moderated by Jon Bonné, wine editor, San Francisco Chronicle. ~The Ageability of American Rhones (Sunday March 28th), moderated by Karen MacNeil, the Culinary Institute of America. On Saturday March 27th, fifteen wineries will participate in a winemaker dinner at the Log Cabin in the San Francisco Presidio. The dinner will again be catered by the girl & the fig Restaurant in Sonoma (famous for its “Rhone Alone” wine list) and offers an opportunity to taste current and limited release wines and enjoy a three-course meal with fifteen leading Rhone Rangers winemakers. Tickets are $125. Following the meal, a brief live auction will feature fifteen lots of wine, unique wine country experiences, and travel packages, donated by the host winemakers. Proceeds from the auction will benefit the Rhone Rangers Scholarship Fund, which provides scholarships to help educate the next generation of American Rhone winemakers. Tickets: Saturday seminars $50-$70/ticket; winemaker dinner $125/ticket; Sunday seminar and Grand Tasting (combined ticket) $100/ticket; Grand Tasting (only) $65. Credentialed members of the wine trade and media can register online. ~LOCAL KITCHEN AND WINE MERCHANT~ in SoMa is kicking off a new happy hour, with $1 oysters and half-off all wines by the glass Tuesdays through Fridays from 5pm-7pm. Cheers! 330 1st St. at Folsom, 415-777-4200. During the evening, guests will have a chance to buy raffle tickets for a special prize, which will benefit the Make-A-Wish Foundation. 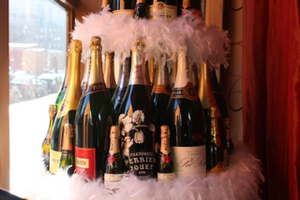 Ticket holders will also enjoy an Après Party with dessert, Cognac, and more Champagne. Tour de Champagne attendees must be 21 and older. And it’s a bit fancy: the dress is requested to be cocktail attire (black tie optional). Admission: $80. All-inclusive tickets include: tasting of Champagnes and food, entertainment, and raffle. Also, Cognac Après Party until 11pm. Extremely limited number of VIP tickets: $95. VIP tickets also include a special pre-event Champagne seminar (TBA). Please note space is limited.